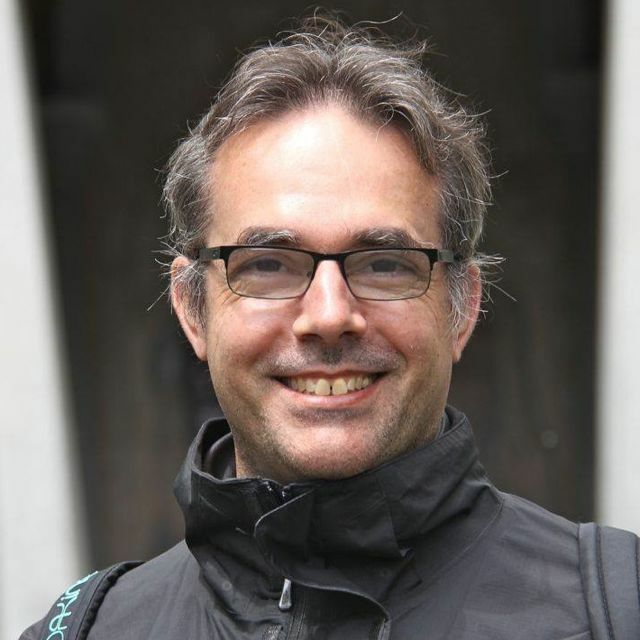 2015 Ecology and Society http://www.ecologyandsociety.org/issues/view.php?sf=102. 2011 Ecological Economics 70(9): 1569-1620. 2018 Ecology & Society 23 (4):8..
We report on an art and sustainability project, inspired by sustainable living and by the work of Elinor Ostrom, in which the authors experienced a not-too-distant future of water scarcity in an isolated location in the Mojave Desert for four weeks. We restricted our water use to ≤ 15.1 L/day (4 gallons) water per person and consumed a water-wise vegan diet. Here, we report and reflect on our experience of this art and sustainability project. We show that, as participants, we had no difficulty adjusting to a resource-scarce environment or living in a remote location. Our experience showed that (temporary) behavioral change is possible to cope with extreme resource scarcity without a net negative effect on the quality of life. Future replications of such art and sustainability projects in safer environments could become spaces for science, art, and innovation for more sustainable lifestyles. 2018 Journal of Environmental Management 227: 200-208. Residents of Mexico City experience major hydrological risks, including flooding events and insufficient potable water access for many households. A participatory modeling project, MEGADAPT, examines hydrological risk as co-constructed by both biophysical and social factors and aims to explore alternative scenarios of governance. Within the model, neighborhoods are represented as agents that take actions to reduce their sensitivity to exposure and risk. These risk management actions (to protect their households against flooding and scarcity) are based upon insights derived from focus group discussions within various neighborhoods. We developed a role-playing game based on the model’s rules in order to validate the assumptions we made about residents’ decision-making given that we had translated qualitative information from focus group sessions into a quantitative model algorithm. 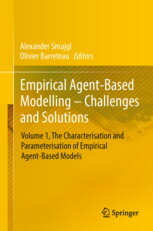 This enables us to qualitatively validate the perspective and experience of residents in an agent-based model mid-way through the modeling process. Within the context of described hydrological events and the causes of these events, residents took on the role of themselves in the game and were asked to make decisions about how to protect their households against scarcity and flooding. After the game, we facilitated a discussion with residents about whether or not the game was realistic and how it could be improved. The game helped to validate our assumptions, validate the model with community members, and reinforced our connection with the community. We then discuss the potential further development of the game as a learning and communication tool. 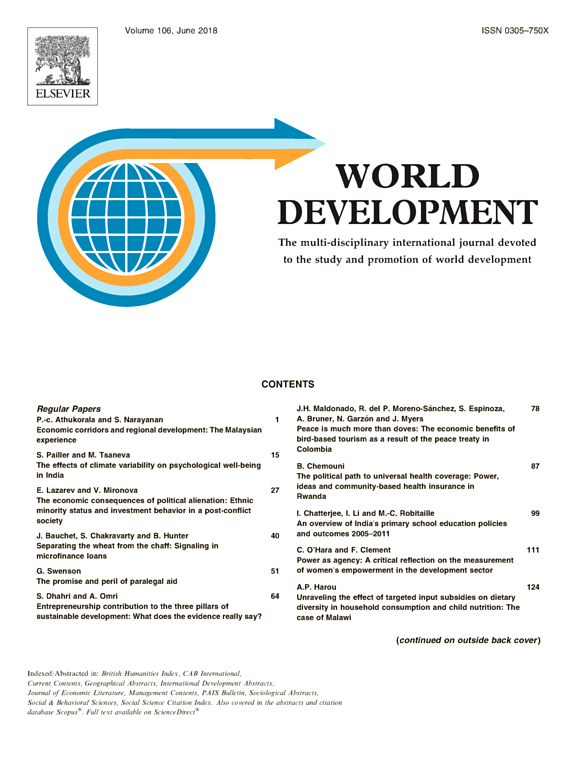 2018 World Development 107: 40-53. Groundwater is one of the most challenging common pool resources to govern, resulting in resource depletion in many areas. We present an innovative use of collective action games to not only measure propensity for cooperation, but to improve local understanding of groundwater interrelationships and stimulate collective governance of groundwater, based on a pilot study in Andhra Pradesh, India. 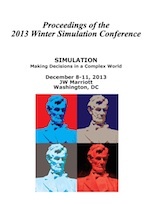 The games simulate crop choice and consequences for the aquifer. These were followed by a community debriefing, which provided an entry point for discussing the interconnectedness of groundwater use, to affect mental models about groundwater. A slightly modified game was played in the same communities, one year later. Our study finds communication within the game increased the likelihood of groups reaching sustainable extraction levels in the second year of play, but not the first. Individual payments to participants based on how they played in the game had no effect on crop choice. Either repeated experience with the games or the revised structure of the game evoked more cooperation in the second year, outweighing other factors influencing behavior, such as education, gender, and trust index scores. After the games were played, a significantly higher proportion of communities adopted water registers and rules to govern groundwater, compared to other communities in the same NGO water commons program. Because groundwater levels are affected by many factors, games alone will not end groundwater depletion. However, games can contribute to social learning about the role of crop choice and collective action, to motivate behavior change toward more sustainable groundwater extraction. 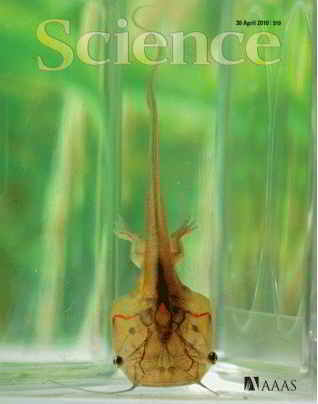 2017 Proceedings of the National Academy of Sciences USA 114(5): 921-925. Small holder agricultural systems, strongly dependent on water resources and investments in shared infrastructure, make a significant contribution to food security in developing countries. These communities are increasingly integrated in the global economy and are exposed to new global climate-related risks that may affect their willingness to cooperate in community level collective action problems. We performed field experiments on public goods with private and collective risks in 118 small-scale rice producing communities in four countries. Our results indicate that increasing integration of those communities with the broader economic system is associated with lower investments in public goods when facing collective risks. These findings indicate that local public good provision may be negatively affected by collective risks especially if communities are more integrated with the market economy. 2016 Ecology & Society 21(3):38. Groundwater is a common-pool resource that is subject to depletion in many places around the world as a result of increased use of irrigation and water-demanding cash crops. Where state capacity to control groundwater use is limited, collective action is important to increase recharge and restrict highly water-consumptive crops. We present results of field experiments in hard rock areas of Andhra Pradesh, India, to examine factors affecting groundwater use. Two nongovernmental organizations (NGOs) ran the games in communities where they were working to improve watershed and water management. Results indicate that, when the links between crop choice and groundwater depletion is made explicit, farmers can act cooperatively to address this problem. Longer NGO involvement in the villages was associated with more cooperative outcomes in the games. Individuals with more education and higher perceived community social capital played more cooperatively, but neither gender nor method of payment had a significantly effect on individual behavior. When participants could repeat the game with communication, similar crop choice patterns were observed. The games provided an entry point for discussion on the understanding of communities of the interconnectedness of groundwater use and crop choice. 2016 PLoS ONE 11(7): e0159537. doi:10.1371/journal. pone.0159537. 2016 Global Environmental Change 37: 69-78. 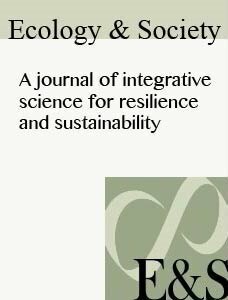 Encouragement of learning is considered to be central to resilience of social–ecological systems (SESs) to unknown and unforeseeable shocks. However, despite the consensus on the centrality of learning, little research has been done on the details of how learning should be encouraged to enhance adaptive capacity for resilience. This study contributes to bridging this research gap by examining the existing data from a behavioral experiment on SES that involves learning. We generate new hypotheses regarding how learning should be encouraged by comparing the learning processes of human-subject groups that participated in the experiment. Our findings suggest that under environmental stability, groups may be able to perform well without frequent outer-loop (or double-loop) learning. They can still succeed as long as they tightly coordinate on shared strategies along with active monitoring of SESs and user participation in decision-making. However, such groups may be fragile under environmental variability. Only the groups that experience active outer-loop learning and monitoring of SESs are likely to remain resilient under environmental variability. 2015 Ecology and Society 20(4):34. 2015 Judgment and Decision Making 10(6): 511-537. We used psychological methods to investigate how two prominent interventions, participatory decision making and en- forcement, influence voluntary cooperation in a common-pool resource dilemma. Groups (N=40) harvested resources from a shared resource pool. Individuals in the Voted-Enforce condition voted on conservation rules and could use economic sanc- tions to enforce them. In other conditions, individuals could not vote (Imposed-Enforce condition), lacked enforcement (Voted condition), or both (Imposed condition). Cooperation was strongest in the Voted-Enforce condition (Phase 2). Moreover, these groups continued to cooperate voluntarily after enforcement was removed later in the experiment. Cooperation was weakest in the Imposed-Enforce condition and degraded after enforcement ceased. Thus, enforcement improved voluntary cooperation only when individuals voted. Perceptions of procedural justice, self-determination, and security were highest in the Voted- Enforced condition. These factors (legitimacy, security) increased voluntary cooperation by promoting rule acceptance and internalized motivation. Voted-Enforce participants also felt closer to one another (i.e., self-other merging), further contribut- ing to their cooperation. Neither voting nor enforcement produced these sustained psychological conditions alone. Voting lacked security without enforcement (Voted condition), so the individuals who disliked the rule (i.e., the losing voters) pil- laged the resource. Enforcement lacked legitimacy without voting (Imposed-Enforce condition), so it crowded out internal reasons for cooperation. Governance interventions should carefully promote security without stifling fundamental needs (e.g., procedural justice) or undermining internal motives for cooperation. Keywords: cooperation, internalized motivation, institutional acceptance, resource dilemma, social dilemma, voting, sanc- tions, motivational crowding, procedural justice, self-determination, self-other merging. 2015 Water Resources and Economics 12: 14-26. When governing shared resources, the level and quality of information available to resource users on the actions of others and the state of the environment may have a critical effect on the performance of groups. 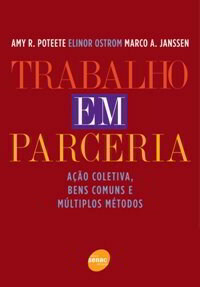 In the work presented here, we find that lower availability of information does not affect the average performance of the group in terms of their capacity to provide public infrastructure and govern resource use, but it affects the distribution of earnings and the ability to cope with disturbances. We performed behavioral experiments that mimic irrigation dilemmas in which participants need to maintain infrastructure function in order to generate revenue from the use of water. In the experimental design, there is an upstream–downstream asymmetry of access to water that may lead to unequal access to water. We find that inequality of investment in irrigation infrastructure and water appropriation across players is more pronounced in experiments where resource users have limited information about the actions of others. We also find that inequality is linked to the ability of groups to cope with disturbances. Hence a reduced level of information indirectly reduces the adaptive capacity of groups. 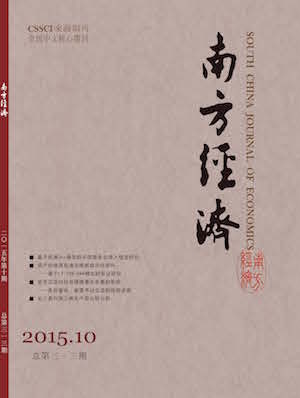 2015 South China Journal of Economics 33(10): 99-114 (in Chinese). The rational thinking assumption by main stream economics has a far distance from real people. This paper designs a series of behavioral economic experiments (trust, prisoners’ dilemma, public good, dictator and ultimatum games) and conducts them in two university classrooms of China and USA. It shows that people intrinsically have goodness and social thinking, and can provide public goods voluntarily and have fair preference of economic interest distribution. However, the American students show higher trust degree and cooperation level, and stronger preferences of cooperation and fairness than the Chinese ones. 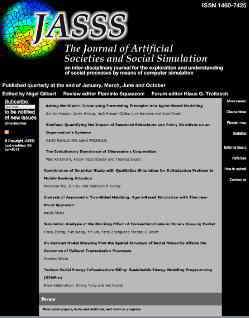 Therefore, this paper suggests that policy makers are necessary to fully understand people’s social thinking and micro behavior and they are necessary to emphasize on publicizing this kind of thinking, ability and action, and should provide information platform for people to solve collective dilemmas voluntarily. 2015 Ecology and Society 20 (4): 12. 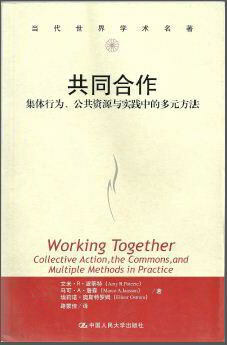 Research on collective action and common-pool resources is extensive. However, little work has concentrated on the effect of variability in resource availability and collective action, especially in the context of asymmetric access to resources. Earlier works have demonstrated that environmental variability often leads to a reduction of collective action in the governance of shared resources. Here we assess how environmental variability may impact collective action. We performed a behavioral experiment involving an irrigation dilemma. In this dilemma participants invested first into a public fund that generated water resources for the group, which were subsequently appropriated by one participant at a time from head end to tail end. The amount of resource generated for the given investment level was determined by a payoff table and a stochastic event representing environmental variability, i.e., rainfall. Results show that that (1) upstream users’ behavior is by far the most important variable in determining the outcome of collective action; (2) environmental variability (i.e. risk level in investing in the resource) has little effect on individual investment and extraction levels; and (3) the action-reaction feedback is fundamental in determining the success or failure of communities. 2015 Ecology and Society 20(3): 23. 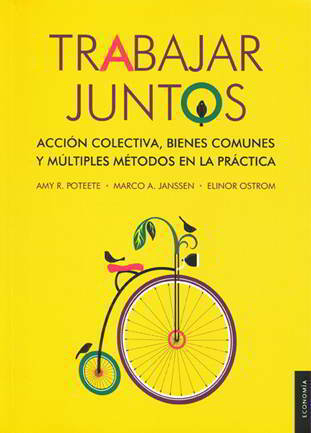 Social roles are thought to play an important role in determining the capacity for collective action in a community regarding the use of shared resources. Here we report on the results of a study using a behavioral experimental approach regarding the relationship between social roles and the performance of social-ecological systems. The computer-based irrigation experiment that was the basis of this study mimics the decisions faced by farmers in small-scale irrigation systems. In each of 20 rounds, which are analogous to growing seasons, participants face a two-stage commons dilemma. First they must decide how much to invest in the public infrastructure, e.g., canals and water diversion structures. Second, they must decide how much to extract from the water made available by that public infrastructure. Each round begins with a 60-second communication period before the players make their investment and extraction decisions. By analyzing the chat messages exchanged among participants during the communication stage of the experiment, we coded up to three roles per participant using the scheme of seven roles known to be important in the literature: leader, knowledge generator, connector, follower, moralist, enforcer, and observer. Our study supports the importance of certain social roles (e.g., connector) previously highlighted by several case study analyses. However, using qualitative comparative analysis we found that none of the individual roles was sufficient for groups to succeed, i.e., to reach a certain level of group production. Instead, we found that a combination of at least five roles was necessary for success. In addition, in the context of upstream-downstream asymmetry, we observed a pattern in which social roles assumed by participants tended to differ by their positions. Although our work generated some interesting insights, further research is needed to determine how robust our findings are to different action situations, such as biophysical context, social network, and resource uncertainty. 2014 Ecology and Society 19 (4): 20. Recently, there has been an increased interest in using behavioral experiments to study hypotheses on the governance of social-ecological systems. A diversity of software tools are used to implement such experiments. We evaluated various publicly available platforms that could be used in research and education on the governance of social-ecological systems. The aims of the various platforms are distinct, and this is noticeable in the differences in their user-friendliness and their adaptability to novel research questions. The more easily accessible platforms are useful for prototyping experiments and for educational purposes to illustrate theoretical concepts. To advance novel research aims, more elaborate programming experience is required to either implement an experiment from scratch or adjust existing experimental software. There is no ideal platform best suited for all possible use cases, but we have provided a menu of options and their associated trade-offs. 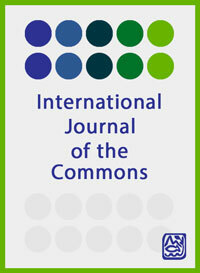 2014 International Journal of the Commons 8(2): 617-635. Allowing resource users to communicate in behavioural experiments on commons dilemmas increases the level of cooperation. In actual common pool resource dilemmas in the real world, communication is costly, which is an important detail missing from most typical experiments. We conducted experiments where participants must give up harvesting opportunities to communicate. The constrained communication treatment is compared with the effect of limited information about the state of the resource and the actions of the other participants. We find that despite making communication costly, performance of groups improves in all treatments with communication. We also find that constraining communication has a more significant effect than limiting information on the performance of groups. 2014 Transportation Research A: Policy and Practice 65:9-22. All major Indian cities face a severe transport crisis, with the number of cars on the road increasing every day. Policy makers are trying to keep pace with this growth by supplying more roads, largely neglecting demand-side policy measures. We have developed an economic experiment to investigate behavioral responses of citizens to such measures. Drawing on a sample of 204 white-collar commuters from Hyderabad, India, we model mode choice as a coordination problem and analyze how bus subsidies, increased parking costs, and public information on preferential car use can affect mode choice. We find that pecuniary treatments are effective for shifting behavior towards socially more desirable outcomes and increasing total benefits. Mode choice is relatively unaffected by socio-economic variables like gender, education or income but is significantly affected by actual traffic behavior. We discuss limitations of the applied sampling, conclude with a critical evaluation of the strengths and weaknesses of economic experiments in transportation research, and offer an outlook on how further experimentation could enrich the policy debate. 2013 Ecology and Society 18 (4): 4. The structure and dynamics of ecosystems can affect the information available to resource users on the state of the common resource and the actions of other resource users. We present results from laboratory experiments that showed that the availability of information about the actions of other participants affected the level of cooperation. 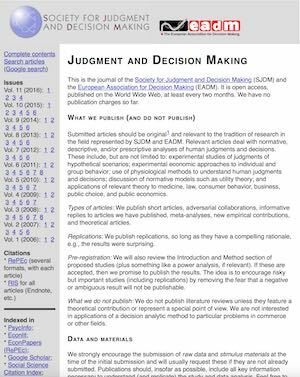 Since most participants in commons dilemmas can be classified as conditional cooperators, not having full information about the actions of others may affect their decisions. When participants had more information about others, there was a more rapid reduction of the resource in the first round of the experiment. When communication was allowed, limiting the information available made it harder to develop effective institutional arrangements. When communication was not allowed, there was a more rapid decline of performance in groups where information was limited. In sum, the results suggest that making information available to others can have an important impact on the conditional cooperation and the effectiveness of communication. 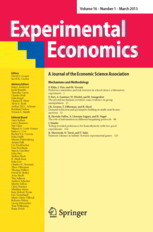 2013 Ecological Economics 93: 166-176. 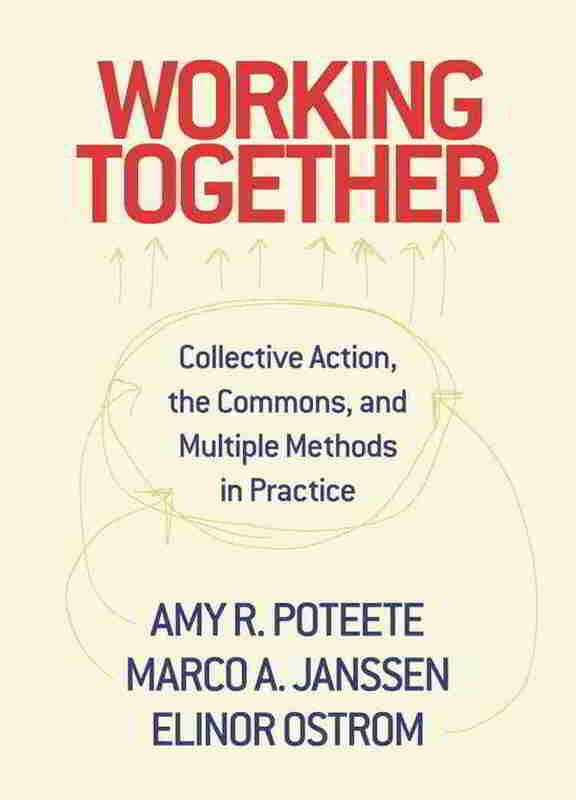 Studies of collective action in commons dilemmas in social–ecological systems typically focus on scenarios in which actors all share symmetric (or similar) positions in relation to the common-pool resource. Many common social–ecological systems do not meet these criteria, most notably, irrigation systems. Participants in irrigation systems must solve two related collective action problems: 1) the provisioning of physical infrastructure necessary to utilize the resource (water), and 2) the asymmetric common-pool resource dilemma where the relative positions of “head-enders” and “tail-enders” generate asymmetric access to the resource itself (water). In times of scarcity, head-enders have an incentive to not share water with tail-enders. Likewise, tail-enders have an incentive to not provide labor to maintain the system if they do not receive water. These interdependent incentives may induce a cooperative outcome under favorable conditions. However, how robust is this system of interdependent incentives in the presence of environmental variability that generates uncertainty about water availability either through variation in the water supply itself or through shocks to infrastructure? This paper reports on results from laboratory experiments designed to address this question. 2012 Agricultural Systems 109: 65-75. It is often assumed that irrigation systems require a central authority to solve coordination problems due to the asymmetry in position and influence between those located at the head-end of a system and those located at the tail-end. However, many examples of complex irrigation systems exist that are self-organized without central coordination. Field experiments on asymmetric commons dilemmas are performed with villagers in rural Colombia and Thailand. Our experiments show that there is a dynamic interaction between equality in the use of the common resource, and the level of the contributions to the creation of a common resource. Inequality in the distribution of benefits in one round triggers lower levels of group contributions, reducing efficiency and triggering even more inequality in contributions and distribution of the resource among players. The upstream players act as “stationary bandits”. They take more than an equal share of the common resource, but leave sufficient resources for the downstream players to stimulate them to continue their contributions to the public infrastructure. After 10 rounds, players can vote on one of three allocation rules: equal quota, random and rotating access to appropriation of the resource. The rotating access is most often elected. The resource dynamics in the second part of the experiment depend on the rule elected. With the quota rule, the stationary bandit metaphor is less relevant since taking equal shares of the resource is enforced. With the rotation access rule, the players act strategically on the rotating position. They invest more when having the first access to the resource compared to less favorable access. And when they have first access they extract the main part of the common resource. The rotation rule led to a reduction of the performance of the groups. With the random access rule there is no such strategic investment behavior and participants remain investing equal and similar levels as in the first 10 rounds. The experiments show that a necessary condition of irrigation systems to self-organize is the development of norms to allocate fair shares of the water in order to recruit sufficient labor to construct and maintain the physical infrastructure. The different allocation rules do not increase efficiency, but they did increase equality of the earnings. 2011 Experimental Economics 14(4): 547-566. In this paper we discuss laboratory experiments that address the problem of self-governance in an asymmetric commons dilemma. Small-scale irrigation systems that provide food for hundreds of millions of people around the world are probably the most common example of such dilemmas. Here, we formulate an abstract dilemma in which subjects make both a decision about investment in the provision of infrastructure associated with the use of a resource and about how much to extract from the common-pool resource made available by this infrastructure. The impact of inherent asymmetry in irrigation systems on the provision of a resource and the impact of communication on the capacity of the group to solve the two-level commons dilemma of cooperation and coordination based on the analysis of the experimental data are discussed. 2011 Ecological Economics 70(9): 1590-1598. The emergence of large-scale irrigation systems has puzzled generations of social scientists, since they are particularly vulnerable to selfish rational actors who might exploit inherent asymmetries in the system (e.g. simply being the head-ender) or who might free ride on the provision of public infrastructure. 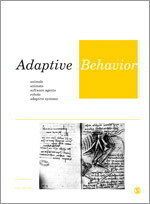 As part of two related research projects that focus on how subtle social and environmental contextual variables affect the evolution and performance of institutional rules, several sets of experiments have been performed in laboratory settings at Arizona State University and in field settings in rural villages in Thailand and Colombia. In these experiments, participants make both a decision about how much to invest in public infrastructure and how much to extract from the resources generated by that public infrastructure. With both studies we find that head-enders act as stationary bandits. They do take unequal shares of the common-pool resource but if their share is very large relative to downstream participants’ shares, the latter will revolt. Therefore for groups to be successful, head-enders must restrain themselves in their use of their privileged access to the common-pool resource. The comparative approach shows that this result is robust across different social and ecological contexts. 2011 Ecological Economics 70 (9): 1571-1579. Common pool resource experiments in the laboratory and the field have provided insights that have contrasted to those derived from conventional non-cooperative game theory. Contrary to predictions from non-cooperative game theory, participants are sometimes willing to restrain voluntarily from over extracting resources and use costly punishment to sanction other participants. Something as simple as face-to-face communication has been shown to increase average earnings significantly. In the next generation of experiments, both in the laboratory and in the field, we need to extract more information that provides insight concerning why people make the decisions they make. More information is needed concerning attributes of individuals as well as the social and social–ecological context in which they interact that may give rise to such deviations from theoretical predictions. In the process of extracting more information from participants and the contexts in which they interact, we face several methodological and ethical challenges which we address in this paper. 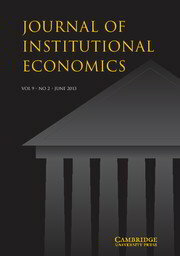 2011 Journal of Economic Psychology 32(3): 391-398. For many consumer goods, the advent of online markets dramatically increases the amount of information available about products’ different features and qualities. Although numerous studies have investigated the effects of information quantity on individual-level decisions, it is still unknown how the amount of attribute information affects group-level patterns of behavior, particularly when consumers are also aware of a choice’s popularity. In the present studies, we hypothesized that when attribute information increases, it may exceed the individual’s cognitive capacity to process this information, and as a result conformity – choosing the most popular item – becomes more likely. In this study, we first examined empirical data collected from human subject experiments in a simulated online shopping experience, and then developed an agent-based model (ABM) to explore this behavioral clustering. Both studies confirmed our primary hypotheses, and the ABM shows promise as a tool for exploring extensions of these ideas. 2010 Ecology and Society 15 (2): 7. Case-study analysis shows that long-lasting social–ecological systems have institutional arrangements regulating where, when, and how to appropriate resources instead of how much. Those cases testify to the importance of the fit between ecological and institutional dynamics. Experiments are increasingly used to study decision making, test alternative behavioral models, and test policies. In typical commons dilemma experiments, the only possible decision is how much to appropriate. Therefore, conventional experiments restrict the option to study the interplay between ecological and institutional dynamics. Using a new real-time, spatial, renewable resource environment, we can study the informal norms that participants develop in an experimental resource dilemma setting. Do ecological dynamics affect the institutional arrangements they develop? We find that the informal institutions developed on when, where, and how to appropriate the resource vary with the ecological dynamics in the different treatments. Finally, we find that the amount and distribution of communication messages and not the content of the communication explains the differences between group performances. 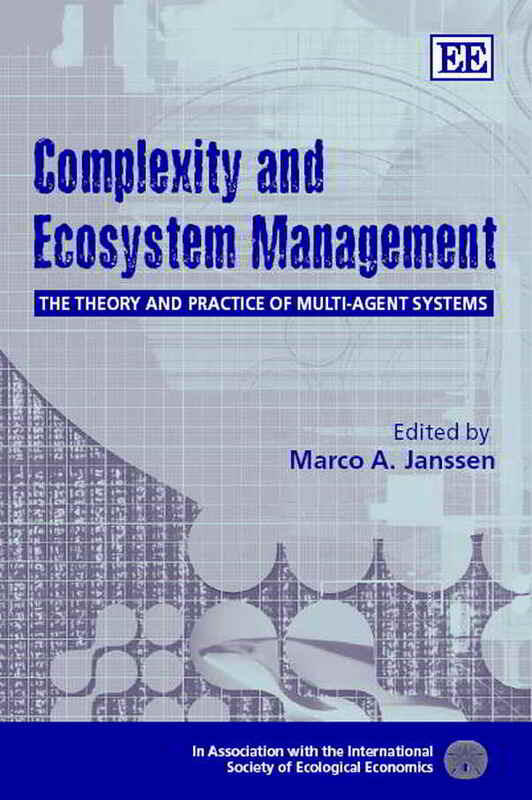 Governance of social-ecological systems is a major policy problem of the contemporary era. Field studies of fisheries, forests, and pastoral and water resources have identified many variables that influence the outcomes of governance efforts. We introduce an experimental environment that involves spatial and temporal resource dynamics in order to capture these two critical variables identified in field research. Previous behavioral experiments of commons dilemmas have found that people are willing to engage in costly punishment, frequently generating increases in gross benefits, contrary to game-theoretical predictions based on a static pay-off function. Results in our experimental environment find that costly punishment is again used but lacks a gross positive effect on resource harvesting unless combined with communication. These findings illustrate the importance of careful generalization from the laboratory to the world of policy. 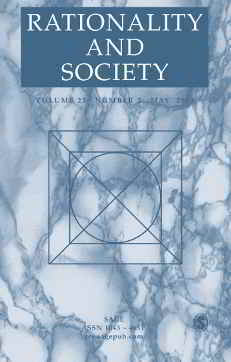 2008 Rationality and Society 20(4): 371-397. Using a real-time, spatial, renewable resource environment, we observe participants in a set of experiments formulating informal rules during communication sessions over three decision rounds. In all three rounds, the resource is open access. Without communication, the resource is persistently and rapidly depleted. With face-to-face communication, we observe informal arrangements to divide up space and slow down the harvesting rate in various ways. We observe that experienced participants, who have participated in an earlier experiment where private property was used as one way of controlling harvesting in this renewable resource environment, are more effective in creating rules, although they mimic the private-property regime of their prior experience. Inexperienced participants need an extra round to reach the same level of resource use, but they craft diverse arrays of novel rule sets. 2008 International Journal of the Commons 2(2): 288-312. This paper uses laboratory experiments to examine the effect of an endogenous rule change from open access to private property as a potential solution to overharvesting in commons dilemmas. A novel, spatial, real-time renewable resource environment was used to investigate whether participants were willing to invest in changing the rules from an open access situation to a private property system. We found that half of the participants invested in creating private property arrangements. Groups who had experienced private property in the second round of the experiment, made different decisions in the third round when open access was reinstituted in contrast to groups who experienced three rounds of open access. At the group level, earnings increased in Round 3, but this was at a cost of more inequality. No significant differences in outcomes occurred between experiments where rules were imposed by the experimental design or chosen by participants.